i'm back with my K-pop fever here. hehe..now this is actually the old song from this group. it was a SPECIAL MV MADE and i should say i don't care about the MV though as i care about the song! 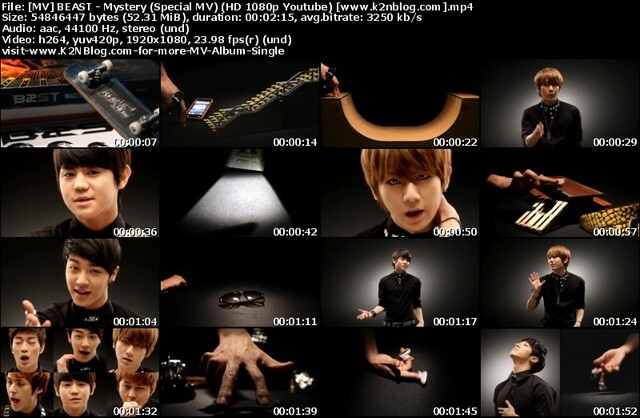 yup, this is one of my fav song from BEAST besides the hot debut, bad girl and the latest famous one, Fiction! every song from this Korean Idol group is freaking great. i'm not saying that because imma big fan of them but its due to the reason why this group had rising their popularity in a very short time. Oh, you should probably wonder why i'm soooo active updating in here. haha..its due to the fact that i knew that i'll unable to online tomorrow and so-on. then, c ya on the next post!